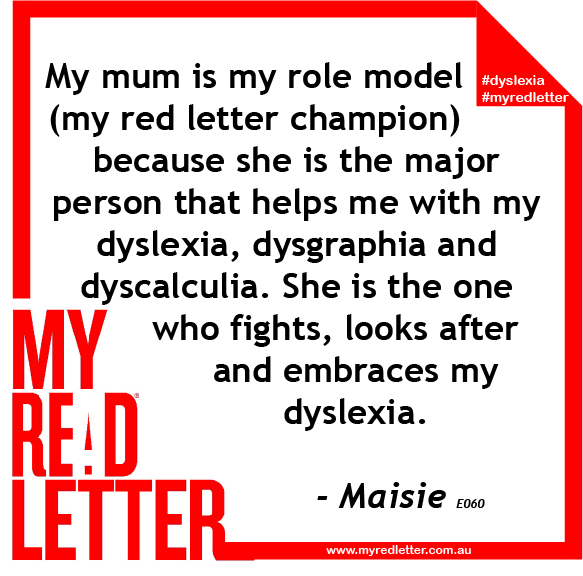 My mum is my role model (my red letter champion) because she is the major person that helps me with my dyslexia, dysgraphia and dyscalculia. She is the one who fights, looks after and embraces my dyslexia. She has had to argue with the teachers and principal at my school for some assistance with my dyslexia. It is hard to get the school to help me but my mum is doing everything she can to make them listen and to support me. My mum takes me to tutoring each week so I can learn in a way that I understand. 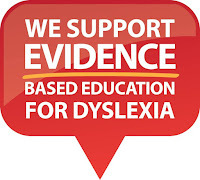 Because I am dyslexic I have a different learning style to my peers and the school doesn’t seem to want to help. I feel annoyed that they won’t help me when we are only asking for simple changes. 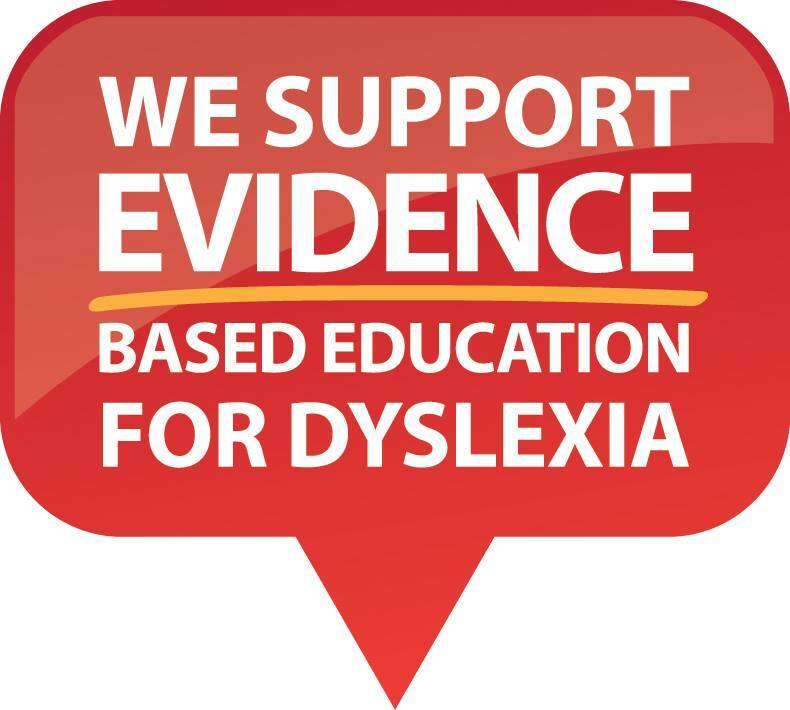 My mum and my tutor both know how hard it is to be dyslexic and how important it is for me to get an education. They make me feel important and happy that kids like me can be taught properly. During my schooling I have struggled with maths, reading and writing. I feel like some teachers feel like I am stupid or that I am not doing the best that I can. I am far from stupid, I just learn a bit differently from everyone else. My mum makes me feel like I can do things that everyone else can do even though it might take a little bit more time. My dad believes in me a lot as well because he knows I can do anything if I put my mind to it.